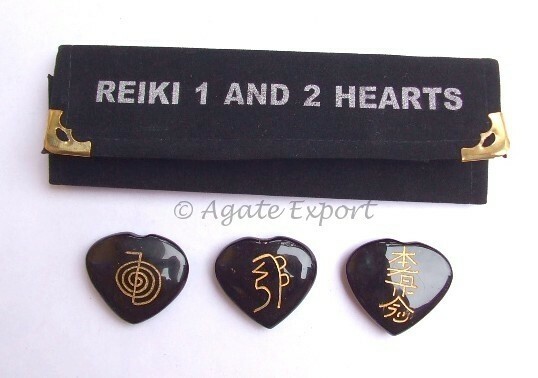 Black Onyx Reiki 1 - 2 Hearts Set is for new beginners. It is a set of 3 black onyx stone with symbols on each. These symbols help the practitioner to clean the environment, balance emotions and to connect with the spiritual power. It comes with a pouch.